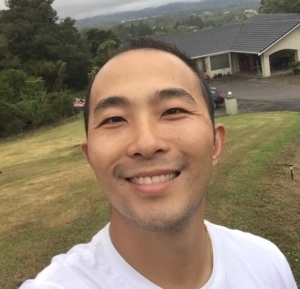 My tume is Yama (Jinwood) Kim, I am 28 and work as a barista at Kingswood Coffee in Sydney. I have come a long way since I first decided to enter the central regional cupping competition for Australia 6 months ago, I can’t believe I have made it this far on my first attempt! I have an education in viticulture, my passion in coffee is to investigate how al differences in growing conditions, processing and roasting impart varied characteristics and flavours in coffee. Sounds a little wacky but my interest in coffee started after I started watching a Korean drama called Coffee Prince in 2007. From there I enrolled in a coffee school and got my first job behind the bar in my hometown. What is your favorite coffee to cup? I actually haven’t found my favourite coffee to cup yet, I am interested in discovering how varied farming and processing techniques impart nuances and flavour in the cup. What are you excited to do while you are in Budapest? Art and architecture are my hobbies, I am excited to see the all the works at the Museum of Fine Arts as well as the Gothic and Renaissance style buildings. 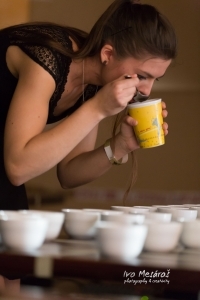 I see myself competing in the Brewers Cup, participating as a sensory judge at a higher level. Also green bean buying and roasting on a larger scale for Kingswood Coffee back home. Is there anyone you would like to thank or recognize, or who helped you to prepare for the WCTC? I would like to thank my boss Mikey, and manager Dai, they have given me many opportunities to grow in the coffee industry and better my skills. My team at Kingswood who have always been supportive. 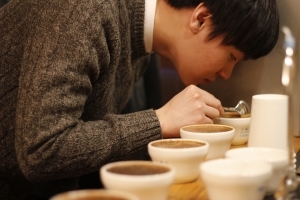 Also Ryan and Chanho who have spent countless nights cupping with me. I’m originally from Halifax, Canada but I moved to Austria when I was 18 and have been living here for the last ten years. I’ve been working at Coffee Pirates since February 2016. When not serving up coffee at Coffee Pirates I can be found exploring the city, running, doing yoga, listening to music, hanging with my cat, watching a movie, cooking, baking, reading or pursuing my other passion: foreign languages! Ever since I can remember I have loved the flavour of coffee. It all began with coffee ice cream which was my favourite flavour as a kid, to a weekly Starbucks Caramel Frappuccino with my Mom on Sundays as a tradition as a teenager, to drinking Canada’s favourite coffee: a Tim Horton’s Double Double (Brewed coffee with two creams and two sugars) as a young adult. When the first specialty coffee shop opened in my hometown (Two if by Sea in Dartmouth, Nova Scotia) I fell in love with quality coffee. I was so excited to discover just how good coffee could be. The atmosphere in the coffee shop was amazing and it eventually helped bring a part of my hometown to life that had been needing a pick me up. My first coffee job was at Starbucks in Vienna, where I worked for four years when I first moved to Vienna. This job introduced me to the world of coffee and how amazing it is to discover different flavours of coffees from different regions. I took a year off from the coffee business to be an English teacher but missed the coffee world too much and found my way to Coffee Pirates and there I’ve been for nearly a near and a half and I love it. 2017 SCA Austria Cup Tasting Championship – 1st place. Any coffee that gives me what a WOW reaction. Recently I have been enjoying cupping different African coffees because as my tastes change I find myself really enjoying the fruitier notes. I’ve been to Budapest a few times and it is one of my favourite cities to visit. It is a really vibrant city and I am looking forward to revisiting some of my favourite places. I’m lucky that it is quite near to Vienna so that I can bring a team of supporters with me! I’m not exactly sure! Definitely living somewhere where English is not the main language spoken, I love living in a country where I can speak a different language. I would love to continue in the coffee industry as I am learning more and more about the different career options within the industry. A big thanks to Evelyn Priesch and Werner Savernik of Coffee Pirates who encouraged me to enter the Cup Tasting Championship back in January when I didn’t think I had a chance. Also to all of my coworkers at Coffee Pirates who cheered me on in January and who will be with me in Budapest! I would like to thank my team from 26 coffee shop in Minsk. They are cool guys! Within our company one of my daily tasks is cupping. Besides that I am travelling to origin to buy green coffee and taking care of the roastery and our wholesale customers. I started in 2001 with no knowledge, no real plan but a lot of passion. It was one of the best decisions I ever took. It’s hard to beat a good Ethiopian cupping table. 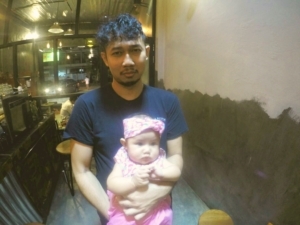 I will take my little son with me as he is interested in coffee and travelling. 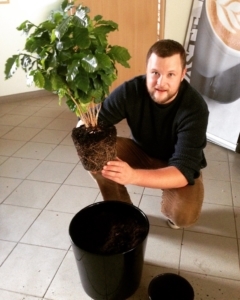 We just started up a new company where we will source green coffee, micro-lots focussing on small roasters. My team back home in Belgium because it is thanks to them and their daily support that I can do these things. I had been working on a coffee farm, caring for seedlings. I suffered a car accident and my brother invited me to work with him. I am from a coffee family, the youngest of 3 brothers who all work with coffee and I had the opportunity to learn from them. Pulped natural from Espirito Santo and Matas de Minas, Brazil. I am excited and honored to participate in the World Cup Tasters Championship. I hope to have the opportunity to meet new coffee people while I’m there. I’d like to be working with coffee abroad in 5 years. I’d like to thank Danilo Lodi, Elias Generoso, Ivan Totti, Jack Robson. Without their support, I would feel much less confident going into the World Championship. I would also like to thank all those who rooted for me during the competition and Vanusia Nogueira and the entire BSCA team. Hello, I’m Felix. 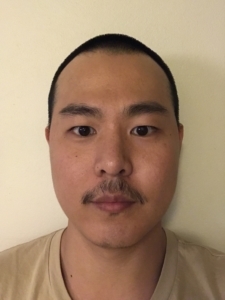 Born and raised in South Korea, grew up in Melbourne, Australia but living in Toronto, Canada. Co-founder of De Mello Palheta Coffee Roasters in Toronto, step father of my dog Paco, loves travel, adventures and learning about cultures! I love coffee, not just because it taste amazing but coffee opens the door to meet new people everyday! 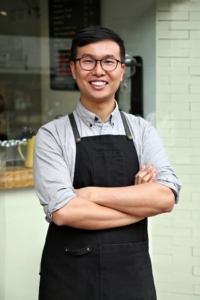 My first job was a cafe — a little take-away cafe inside Station, one of the busiest cafe in Melbourne. I saw my colleague, Tony doing latte art and asked him to teach me how to. Since then I got in to coffee and today, I am a coffee nerd. 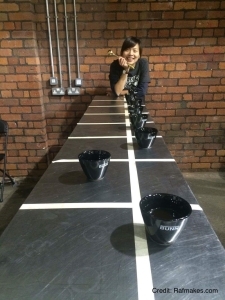 Blends – it’s amazing to taste and experience how blending coffee can result an unique flavours. Learning about the culture; people, languages, foods and just going to explore every little thing about Budapest! If it’s legal, I would like to get drunk and swim in the Danube 🙂 Joke! Probably making coffees in Budapest! Team De Mello Palheta Coffee Roasters, training me everyday, keeping me awake everynight. Thanks. 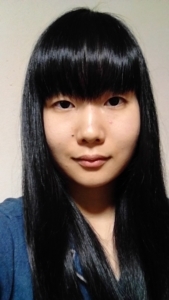 My name is Nishengli, I come from China. I love and enjoy coffee. Season coffee, 2017, the city of Nanjing, China. I’m looking forward to seeing a lot of people who I’ve only seen on TV or in magazines, also looking forward to enjoying amazing coffee. My wife who is also my coach, and my boss, elephont chou. Thanks to everyone who has ever helped me. I was born in La Union Nariño, in the southwestern part of Colombia, into a family of small coffee growers. 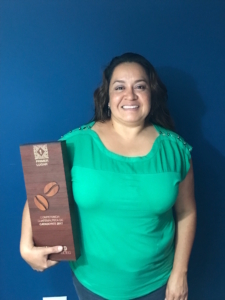 With my wife we are responsible for the quality control for the coffee commercialization of the Association of Agricultural Producers of La Unión Nariño – ASPROUNION. I participate for the second time representing my country Colombia in the World Cup Taster Championship. All my life with coffee, my family are small producers and I have always liked to help them in the harvesting and processing. As a taster I started in 2009 because of the curiosity to know the attributes of the coffee of our farm and thanks to the training as taster received in ASPROUNION. Obviously Colombian coffee and especially the coffee of my region Nariño that is characterized by its citrus notes to orange, sweet to caramel and floral, with citric acid bright, juicy body and excellent balance. My priority is the representation of Colombia, 100% focused on the championship. Happy with my family, promoting high quality differentiated coffee businesses for the benefit of small coffee producers in my region. To my wife who is my partner and coach, my daughters and my family that are my inspiration, ASPROUNION for the support in my training as a taster and the National Federation of coffee growers of Colombia that makes possible the realization of National championship and sponsor my Participation as representative of Colombia in the World Championship. 12 years ago I started working in a wet profit plant, which later I went as assistant of a catacion laboratory where I was trained as a taster and after 5 years I managed to join a coffee exporter in Costa Rica and to date I’ve been a professional taster for 7 years. 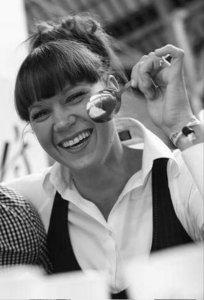 World Cup Tasters Championship 2014, Melbourne Autralia – 24th Place. 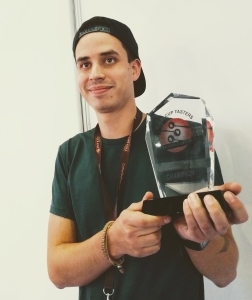 World Cup Tasters Championship 2015, Gothenburg Sweden – 1st Place. 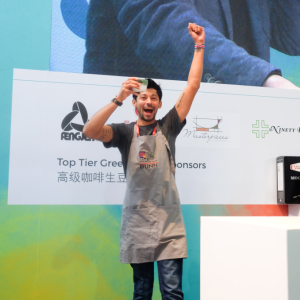 World Cup Tasters Championship 2016, Shanghai China – 1st Place. Costa Rican coffee, I really like every one. They always think they will see different characteristics that will make them special to each one of them. First of all to God who is the one who has given me this gift, and my teachers who formed me and who learn in a good way to dedicate myself to this work. My family, wife and friends have always supported me year after year and have given me that positivism which is what fills me most in each competition. 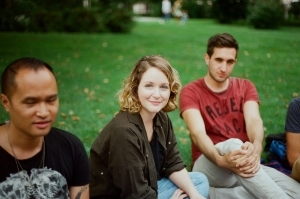 My name is Eliska, I’m 24 years old and I live in Prague. Even though I studied Biochemistry, I wasn’t satisfied with the vision of me wearing a lab coat. So I changed it for a barista apron. My first experience with specialty coffee was just two years ago, but it was love at first “taste”. Since October 2016 I’ve been working as a barista and now also as a coffee roaster in Dos Mundos roastery. The owners, Lukas and Adela have taught me about the differences between coffees from all around the world. Thanks to them and hours of training I won my first coffee competition and now I can be part of the WCTC 2017. Besides coffee, I love movies, music, sports, great food and spending time with my loved ones. During my university studies I learned about coffee plants and processing of coffee beans. I’d become so interested that I started to work in a coffee shop. One and a half years later I took a barista course and got my SCAE Barista Foundation Certification. Now I work as a barista and a coffee roaster in Dos Mundos roastery. I look forward to experiencing the atmosphere of this huge coffee event, tasting some great coffee and meeting new people. I would like to thank my boss and coach Lukas Zugar, who’s been training me for this competition, my boyfriend Petr, and my friends and family for patience and support. Hey I’m Frederick from Denmark. I’m still feeling fairly new to the whole coffee industry, because I only started drinking coffee 3 years ago. I’m very curious about this whole world, and I’m spending most of my free time reading about coffee, cupping and just doing my best to improve all the time. I only learned to drink coffee 3 years ago in Copenhagen, at the coffee collective. Before that I never really liked it, so I think that was like the turning point. then my passion about coffee grew when I was backpacking through central and south Amerika, after that i started brewing for myself not really knowing what or how. then in april 2016 i got my first real barista job at original coffee where i’m still working and loving it. Cup Tasting Championship Denmark 2017 1st Place. That’s a difficult one. I guess it would be one with high acidity and sweetness with a low bitterness. To meet coffee geeks from all around the world, and to build connections with baristas and roasters from all around the world. And the food, I love to eat so I definitely looking forward to test the food culture in Budapest. I’ve been working with coffee for five years now. My enthusiasm started with a few “God in a cup” experiences when I realised how coffee can be of amazing quality. Now I’m so thrilled to compete in World Cup Tasters and to challenge myself. I love traveling and Hungary will be a new experience again. My free time I spend with art, cooking, and hiking in nature. I started in Cood Life Coffee, coffee shop in Helsinki Finland as a barista. Lauri the owner taught me everything about coffee. Juicy Kenyan coffees from Nyeri region. Varieties Sl-28, SL-34. I am currently the Quality Manager of Café Sati, a roastery located in Strasbourg, France. Cupping is the essence of my daily work and I hope that this competition will be another great experience as it will be the 3rd time that I will be representing France in this event. I have been working in the coffee industry for 9 years and during the last 6 years I have significantly increased my understanding and interest in coffee’s great potential. I took every coffee course I could find, visited coffee farms around the world and my knowledge and fascination grew exponentially. 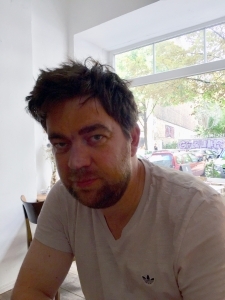 I am now the founder of the Kaffeemacher Academy in Basel. We give coffee courses to around 700 people a year. Our company also runs the coffee shop “fruhling”, the Spring Roasters, and a private labelling coffee roaster called “inthenameof”. 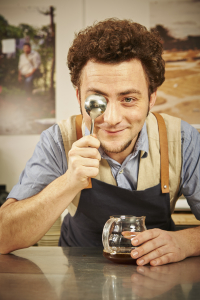 I am a Q-Grader, coffee trainer and coffee entrepreneur. For the last 4 years I have loved competing at the Brewers Cup, Cup Tasters and Barista Championships. I was working as a manager for an NGO in Basel and my desk was in a co-working space on the first floor in a coffee house called Unternehmen Mitte. In 2007 the founders of that coffee shop asked me to join the management crew and later I took over as CEO of that coffee shop. I travelled to the coffee farms that produced the coffee beans in our blends and I started to get really absorbed into the world of coffee. 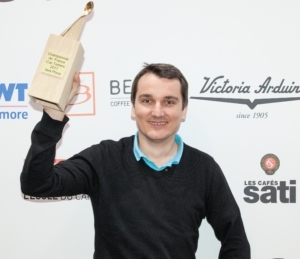 Swiss Barista Finals 2014, 2015, 2016. Because of organizing the Swiss Cup Tasters Championship I stopped to compete in Switzerland and competed in Germany where I was born. Broadly speaking I like washed coffees more than natural or other semi-processed coffees. I love to cup coffees from the same region or farm. This gives me an insight to learn more about the impact of microclimates and varieties of coffee beans on the cup profile of the coffee. Drinking a lot of coffee. Meeting coffee friends from all around. 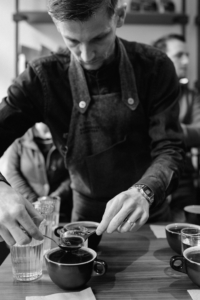 Competing at the Cup Tasters Championship. We have many dreams and aspirations. Let us see what is possible. Hopefully our Kaffeemacher academy will have developed even more courses and programs for coffee users, producers and baristas. We would like to develop some of these courses, working closely with the people we provide them for. 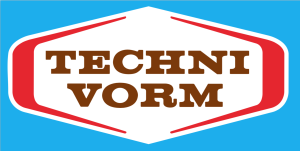 What do they need, how can we all move coffee forward together? I am sure we shall support more and more coffee shops in Basel and hopefully set up more of our own like Café Fruhling. Basel will be an important spot on the international coffee map and our coffee community is growing fast. I hope we can be at the centre of this supporting, helping and training young and new coffee professionals and those starting up on their own. Personally, I would like to carry on competing in competitions as well as training other competitors. Big thanks to all my colleagues at Kaffeemacher who made it possible that I can compete. Thanks to my brother and business partner Felix Hohlmann. Thanks to Bunn, Deutscher Kaffeeverband, BWT water and more. Thanks to the roasteries who supported me with coffee for training! I am the 3-time Greek Cup Tasting Champion. My appearance in the championship for 9 consecutive years states the passion that I have for coffee. I am proud to announce I am part of the initiation of the third wave Coffee in Greek. I’m the founder of nossa specialty coffee and nossa taste philosophy cupping room. Started off as a roaster and year by year I cultivated my knowledge about coffee. I would like to see my company succeed both nationally and internationally and simultaneous become a SCA judge around the world. Many thanks to my coach/wife who has been by my side for the past nine years. Dulce started to work at Bella Vista as an assistant at the office of Beneficio Bella Vista in 2002. Here she learned about all the controls and all that takes to produce, process, sell and export coffee. In 2008 Bella Vista Started a very empiric cupping lab, and Dulce started since day one to be very interested about tasting coffees. Since 2016 in a new cupping lab, Dulce started to cup more consistently with all the visitors, and checking the quality control of the production of the dry mill and roasted coffee. Cupping is a part time job for Dulce, she still has responsibilities in the office at Bella Vista. She is in charge of buying coffee from the small producers that Bella Vista buys from in Antigua. I used to worked in the Accountant Department and one day, my boss gave me the opportunity to get into the coffee lab and I just loved it. I have been working as a cupper since 2008. I will really like to meet roasters and cup tasters, in order to taste new coffees and exchange coffee knowledge and be an ambassador for my country with the grain. And also, visit coffee shops, for new taste experiences. I will really like to thank my boss, Luis Pedro Zelaya from Bella Vista Coffee for giving me the opportunity to get here and become a cup taster. 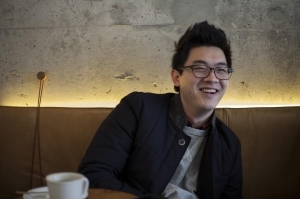 Founders of Craft Coffee Roaster in Hong Kong since 2013. I’ve been worked in coffee for 5 years as a barista & roaster. After tasting the signature Floral & Citrus note of Yirgacheffe, I fell in love with specialty coffee and started home roasting. 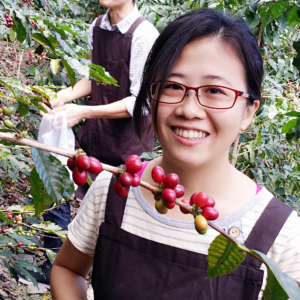 Then I went to Taiwan to study barista & roasting skills and started my coffee career when i’m back. Meet all the great coffee people and getting drunk by coffee. All my teammate, teachers who taught me about coffee and the organizer of the Hong Kong CTC. 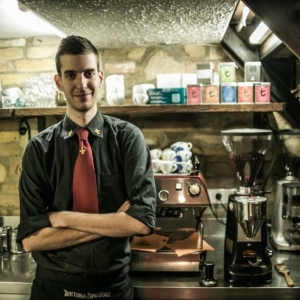 I started in a little coffee shop and bar in Budapest. 2017. Good Spirit Tasting 3. I am professional coffee enthusiast located in Iceland. I started to work as a barista 3 years ago and now I am also a manager in a cozy Te og Kaffi coffeehouse at Hamraborg. My best friend that used to be barista herself introduced me to the craft. I was born in Indonesia and have been living here in my whole live. I am passionate for the coffee industry and would love to learn more about this industry and meet experienced people to learn from them. My interested in coffee started from my first cup of espresso few years ago. Since then I learned more how coffee grows and can be processed until it can be enjoyed by customers in coffee shops. Coffee grown by Indonesian coffee farmers, that grows with love and passion. Could be anywhere, as long as there’s a coffee to be enjoyed with family and friends. My family for always supporting me during these time and also all my friends in Pontianak and Jakarta, couldn’t go this far without their supports. I am totally in love with coffee and cacao. I’ve bumped into the coffee world 9 years ago in Ireland, and since then it became my passion. I am always willing to learn about coffee step by step, mostly by surrounding myself with people who share the same passion in many coffee events and projects around the world. It started as a hobby, but it became my favorite race. I love to attend coffee events and look for new opportunities to learn about specialty coffee. I discovered how much I enjoy to give further my knowledge and try do it day by day. It’s an incredible privilege to learn and share precious moments in the coffee world, including championships. I started sharing all I’ve learned with the staff in Butlers Chocolate cafes, by starting working as a trainer. Nowadays, I am very passionate about my job and particularly enjoy training. To compete in WCTC is a challenge for myself; however, I am trying to encourage not only myself, but also people around me. This likely my first time competing because I use to work hard coaching/ helping other competitors in various national and world championships including Latte Art, Cupping and Barista for the last 6 years. I am thrilled and honoured to represent Ireland on the world stage in June in Budapest. I love African coffee, especially Kenyan and Ethiopian. I am thrilled and honoured to represent Ireland on the world stage in June in Budapest. We are all united in shared coffee values and interest by a desire to learn more and work together as a community of professionals – I am very happy to be a part of it. In the future, I see myself still working in coffee and taking part in coffee related projects. I am very thankful for coach Elvis Seivijus Matiejunas and my colleagues and friends. 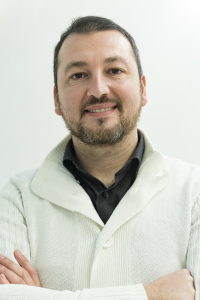 I’m Giacomo Lo Cascio, and I was born in Termini Imerese, close to the city of Palermo, on October 2nd 1982. I have approached this discipline around three years ago, attending some classes in Florence at the Espresso School Academy. After each training class my interest into coffee’s world grew more and more until I found myself taking part in, and winning the Italian Cup Tasting competition of this year. After I graduated from high school, I got a cooking license at TSUJI Culinary Institute in Osaka. 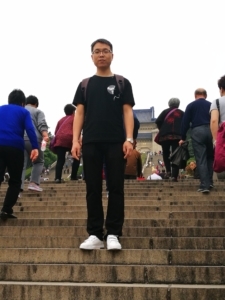 After graduating in one year, I got a job at Mamezo Co., Ltd. It is my third year now. I participated in the Japan Cup Taster Championship from the first year. This time in my third year, I won the 1st place in the championship. The work is in charge of roasting in addition to the daily work of the store. I am looking forward to see the cityscape. I would like to make more accurate cupping during business. I am very grateful to the owner and staff who supported me for practice and participation. Being involved with coffee for the past 4 years have been a life changeing experience. Recovering from a serious sporting injury, that prevented me from becoming a professional athlete made me discover coffee, and I have stayed with it ever since. From barista, to lead barista, to retail and shop manager, wholesale and finally quality control has been the most interesting path of my career, and I hope the list will go on. I have never stopped learning about different aspects of the industry, met so many amazing people, and have been a part of truly great experiences. And this year I am learning about myself, analysing and trying to figure out how to become a better coffee taster and professional. I started 4 years ago in Riga, Latvia. 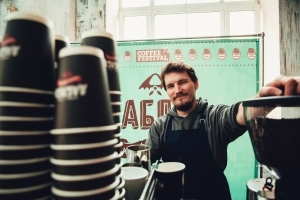 Working in a city that does not know speciality coffee, really makes you think of different ways how to get people to enjoy and take part in the cofee industry. For the last 2 years I have been living and working in Berlin, a city with big dynamics, but the coffee scene is still growing and developing fast. My main focus is exploring the different aspects of the industry and learning, so one day I can share my knowledge. I definitely love to cup fresh crop Guatemalan and Kenyan coffees. The more complex, the better. I am very excited to see the city and hopefully enjoy the weather. At the event – meet up with other national champions and coffee friends. I see myself still in the industry, learning and looking for opportunities to improve. Still competing and helping others to do so. I would like to thank my friend and coach Cory, for all the time and effort that we put in. My girlfriend Una, for supporting and helping in my practice. And everyone elso , who helped with coffee or equipment. Thank you. I love what I am doing. My wife and I have Taste Map cafes and roastery in Vilnius, Lithuania. We are lucky and really happy that we have the opportunity to source, roast, prepare and share the fantastic coffees with our friends and team members. We put a lot of effort and it’s a huge passion and lifestyle for us. Can’t wait to taste all the great coffees in the competition. I started as a barista, then had the opportunity to compete in the 2011 WBC in Bogota, which was a huge and decisive experience for me. Tim Wendelboe helped me a lot back then with coffee and with the great attitude to coffee, which was really inspiring. Also, Marcin Moczydlowski thanks to you for all the help back then! Afterwards, step by step we’ve started to create Taste Map. Every cup of specialty coffee is great. As people put so much efforts in developing and revealing all the flavours in a cup of specialty coffee. Enjoy the moment, good vibes, atmosphere and coffees. In Taste Map, roasting, enjoying , creating new roast profiles, tasting new coffees, and developing new ideas. Huge thanks to my wife, Ieva for all the support and being a part of me. I’ve been a barista, latte artist, and coffee roaster for years. I really enjoy seeing customers’ satisfaction and the huge support from the company and local community. I am excited to challenge myself to the next level this time, and it’s a great honour to compete in the World Cup Tasters Championship for New Zealand. Grandpa introduce some very nice washed Brazil paper filter coffee when I was about ten. Meet all the coffee greatest around the world and love the city. Keep learning, keep calm, learn to appreciate people’s differences and respect them all. Roma coffee roaster, my company. NZ specialty coffee association. Master Emma. My wife Daisy. 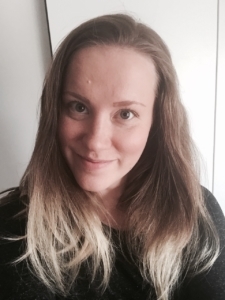 Age 27, from the countryside of Norway, currently living in Oslo. Have been working with coffee since 2010, the last 2,5 years as manager at Kaffebrenneriet, and now as district manager in the same brand. Started as a part time barista at a coffee bar while studying my bachelor degree in media. Competed at the regional championship in classic barista the same year and that started my passion for coffee. It’s my first time going to the world of coffee event, and I´m very excited about looking at the competitions, the exhibitions and just take in the atmosphere. And of course competing in the cup tasters! Still working with coffee on a professional level. Would like to develop my personal knowledge and skills and continue competing in nacional and internacional events. I would like to thank Kaffebrenneriet AS (the coffee-company I work at), for support and training. They always makes sure to arrange cupping, teach me about coffee and they always challenge me to become a better taster. I would specially like to thank Synøve and Cecilie for always sharing their knowledge about coffee. Twenty-three years old yungster, more or less four years working with coffee, two with speciality. Polish Cup Tasters Championships were the first one I’ve ever participated in, so for me it’s still quite a shock that I’m going to WCTC now. Coffee is still an open book for me, I have so much to learn and even more to practice, but I love it and I’ very excited to be a part of WCTC. Apart from coffee I study Philosophy and Social Communication and work at my baking skills. 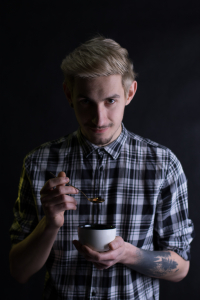 I am a barista and a roaster for 4 years at Olivo coffee roastery in Cluj-Napoca, my home town. Recently we opened a new roastery and shop, Narcoffee roasters. I love to teach and inspire people to take coffee seriously. I started working in a restaurant chain as a bartender, latte art was the thing that got my attention behind the bar, so I started practicing. In a short time I competed in my first regional competition and I took a 4 days barista training course. That was the begining. After that I found out that this restaurant chain had their own roastery, so, I asked the owners if I can see the roastery, they said YES. A couple of weeks later I was roasting the coffee for the restaurants and realised that this is what I love to do. Roast.Brew.Cup the coffee. 🙂 Natural processed Ethiopian heirloom varieties. 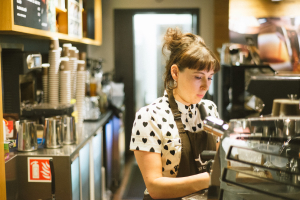 Visit new coffee shops, eat great food, meet coffee people. Sourceing great green coffees for Narcoffee roasters from all around the world. My wife, my parents, my coleagues from Marty, Olivo, Bujole and Narcoffee. During study at school I played musical instruments, studied the photo and played in theater. At university I played in student’s theater. Now all my creativity occupies coffee. It was 2015. My brother invited me to his favourite cafe DoubleB on Millionnaya street 18, Saint Petersburg. After I tasted very strange coffee and in few days the understanding that coffee very difficult and wonderful drink came to me. Don’t know. Just drink coffee. 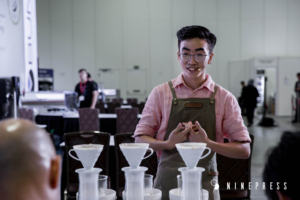 I’ve been doing coffee for the past 2 years and I’m the current Singapore Cup Tasters Champion and Singapore National Brewers Cup Champion. It was a personal interest that developed as I learned and tasted more and more coffees. 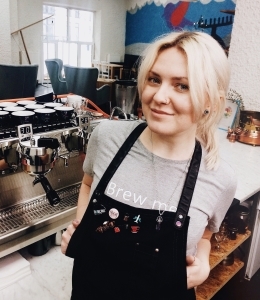 I enrolled myself in courses and was a home barista all the way until I joined A.R.C. After dabbling in different areas of coffee, I have come to discover that my favourite is roasting. I have a 600g roaster at home that I frequently use to experiment with different roasting profiles! I love cupping new and interesting coffees that I’ve never tasted before. The possibilities that coffees can have really excites me. I’m excited to meet everybody and see the show as I’ve never been before. Hopefully I’ll be making a difference in the coffee industry and being a part of all the interesting and exciting developments that’s happening from farm level till the consumer’s cup. Firstly, I would like to thank the Singapore Coffee Association for the support they’ve shown me throughout the National Championships and more. Also, huge thanks to the sponsors for the Singapore National Coffee Championships 2017, especially Bero Coffee Singapore and Bunn for supporting the Cup Tasters Championship. Lastly and most importantly, my team at A.R.C. for all their help and mentoring. With children in the garden 😀 Seriously – teaching new baristas to find passion in barista jobs, and judging coffee competitions. 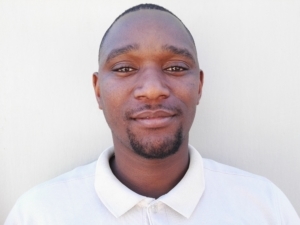 As a kid growing up, I always wanted to be a social worker, but…things change and I saw myself as a businessman, so I started working at a local cafe where I learned the basics of being a Barista and gained a rudimentary knowledge of professional coffee preparations. From then I was hooked. I continued to gain knowledge in an attempt to satisfy my passion for coffee and making that ‘perfect cup’. I worked in the industry as a Barista / Store Manager for a number of years before moving to Sumatran Coffee in 2015, where I roast and train Baristas and others who have a love for coffee. While roasting, I get to experiment with flavours and do what I love…cupping coffee and getting the most out of the bean. I was in college when I took on work at a local restaurant to earn some extra money. It was there that I learned the basics of being a Barista…and this was when I fell in love with coffee . I was determined to improve my knowledge and coffee making skills and learn all I could. Years later, I still have the desire to grow and learn and share my knowledge with those who share my passion. 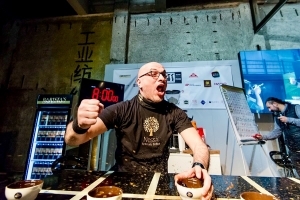 To experience the coffee culture in Budapest and meet the world’s coffee professionals at the Championship. I am eager to learn from and interact with other coffee lovers. My greatest desire is to improve the quality and understanding of coffee within the industry – among both industry professionals and consumers. To create an emphasis on mastery of the craft for professionals and the approachability and enjoyment for consumers. I would like to thank my Sumatran team (family) and my friend, Shaun, for all the hard work and effort they put into helping me achieve what I have and for assisting in my being here in Hungary at the WCTC. Once I wanted to become a soldier of Korea special forces but I got discouraged by panic disoder. When I felt totally lost, my parents suggested me to learn about coffee as a hobby. I decided to take a certification class without much expection. As I learned more about coffee, I fell into coffee and I became more passionat about it. Since then, my passion for coffee is getting bigger and bigger. I have been working hard to become the best owner, the best roaster, and the best barista!! I took a coffee certification class as a hobby at first and I became fond of coffee. 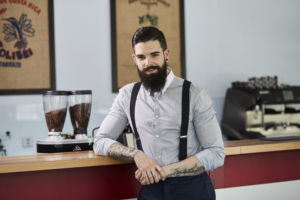 Get a chance to meet baristas all over the world. The best owner, the best roaster, and a barista champion!! Korea Coffee Association (KCC), GSC international, MI coffee, Gom coffee campus, and many more people who I will thank in person. Born 40 years ago in Santander, a beautiful city in the north of Spain. My academic formation was industrial engineer and also chemical engineer. 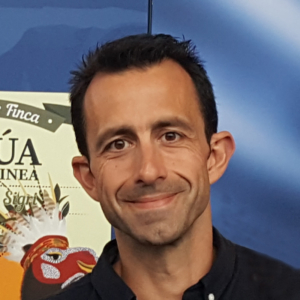 For the last 13 years I have been the production manager of an important group of companies related to the world of coffee in Spain; it’s known as Grupo Dromedario. We work with around 150 people distributed in 6 delegations throughout the country. My interest in the laboratory has been growing in the last 8 years and I have been trained by the best professionals to learn how to taste all the different types of coffee that we have access to in the company. Working with the best baristas in Spain has also improved my experience in the world of coffee tasting. After several jobs in the industry I was looking for a job related to the world of food. Being close to one of the most important companies of coffee in Spain made me enter the world of coffee. 2016 – 1º Spain, it was not possible to go to WCTC of Shanghai. 2017 – 1º Spain and ??? A good espresso from Kenya after eating. I love the sensation of the acidic coffee. 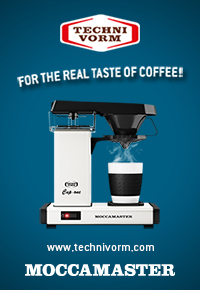 Be near to the biggest in the world barista world. I hope not to have big changes in the next 5 years. I spent many hours cupping coffee with the quality manager of the group in which I work, Begoña Baque. I’d also like to thank the patience of my coach. 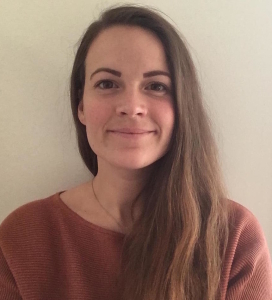 I moved to the port town of Gothenburg when I was four years old, and 18 years later I found myself working as a sailor in the Swedish Marine Corps for almost four years. I met a girl and disembarked from the sailor life to start working in coffee at da Matteo in Gothenburg. We now live happily on the island of Hisingen, outside of Gothenburg, along with our two cats. I was looking for a job and thought I could make a decent cappuccino. Turns out I couldn’t, but da Matteo in Gothenburg gave me a chance anyways. After a year behind the bar it turned out I was better at talking about coffee than I was at making cappuccinos so I started hosting cuppings workshops and eventually I started roasting. Probably Colombian, Ethiopian or Kenyan coffee, but anything that’s fresh crop and/or blind is always exciting. Drink lots of coffee and wine and probably some absinth. Hopefully still talking about and roasting coffee while struggling to make cappuccinos. My colleagues Gabriella and Christian at da Matteo Roastery for always making me better. I am 25 years old and was born in Switzerland, near Basel. I am an SCA Intermediate Barista with SCA Diploma since 2015. As a member of staff in the laboratory for a swiss coffee capsule producer, I am in daily contact with this great product. 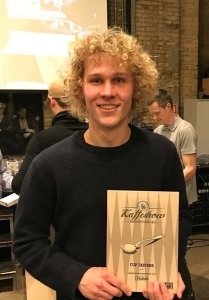 I started at the Swiss Barista Championship in 2017 and took 5th Place. I won the Swiss Cup Tasters Championship in 2016 for the year 2017. Visit a very nice city that I’ve never been to before. I think we will have a great time all together at a very nice coffee fair. I’m looking forward to visiting nice restaurants and bars and to meet the people of Budapest! 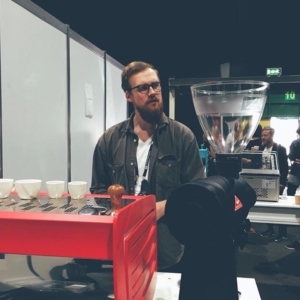 I’d like to thank Benjamin Hohlmann, the winner of the German Cup TastingCchampionship for a nice prep time and great coffee knowledge! I’m from Kaohsiung, a lovely city with a river, mountain, harbor, and sunny days in the south of Taiwan. My barista career has begun in Bu Cafe since 2012. Brewing specialty coffee with syphon is the signature feature in Bu Cafe, therefore it has grown on me as well. I have a bachelor degree in biology; my studies built up my experimental mentality and helped my barista career. 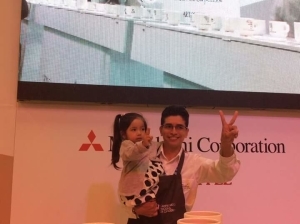 It is exciting to compete against so many outstanding cup tasters and also I feel greatly honored to participate in the international competition for the very first time. 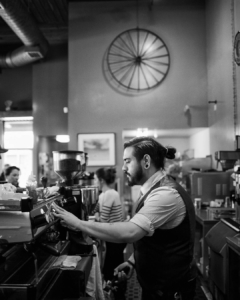 I started approaching coffee by working at a coffee shop as a barista. 2016 Taiwan Cup Taster Championship, 3rd place. 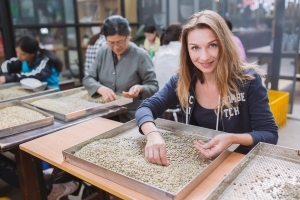 Any kind of coffee with high quality and appropriate roasting. Friends told me the hot spring in Budapest can’t be missed, but what most excites me is definitely the big coffee party in Budapest. Extend my skill to roasting. Many friends helped me a lot, but I want to thank Miss Sherry Chang and Mr. Sam Wang the most. Sherry is who taught me how to prepare a cup taster competition for the first time.We always practiced together, and help each other during the game. Sam is my boss who inspired me in any way about coffee, and sponsored me for this competition. 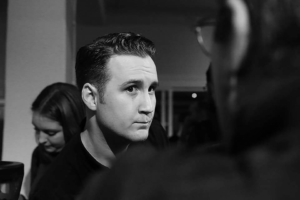 Dutch Barista for over 13 years, long life coffee competitor and coach. Starting roaster with Manhattan Coffee Roasters and SCAE trainer. Travelling the world providing high end coffee services on events and international trainings. Lover of everything food, drinks, travel and sport related. Making coffees at festivals back in 2004. Right now I’m drinking the La Berlina, a washed Geisha from Panama which we roasted for the winning performance of the Dutch Barista Championship and it’s just such an amazing coffee! Super exited to visit my friends at the Espresso Embassy! But I’m mostly looking forward to cheer on the other Dutch Champions, Daniella and Nick! Ben Morrow, for knowing me so well and knowing just how to get me in to the right mindset as well as always pushing me to better my palate. 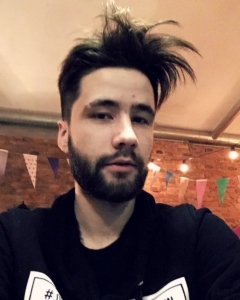 Hello, guys! My name is Alina and I’m from Kiev, Ukraine. I’m a barista and barista-coach in one of the biggest Coffee Center and special coffee place in Europe “Fair Finch”. In coffee I’ve trusted since 2013 and I’m crazy about coffee chemistry. It’s an honor to represent Ukraine on the World Championship! I was born in La Paz, Bolivia, a country that will always be my refuge. My family had to move a few times, so my sister and I were lucky to live in different places like Spain, Germany and Austria. My wife is Spanish and my baby that is coming soon will be a mix of everything that happened before him. I started with coffee 3 years ago, when moving to Dubai in the United Arab Emirates, a city full of new opportunities. 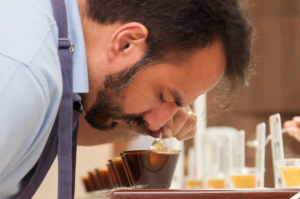 Tasting and making coffee are the two things that make-up the best job in the world. Once we arrived in Dubai because of my wife’s job, I couldn’t find anything related with what I was doing before (illustration). I always have been a coffee drinker but of the kind that needs a lot of milk and sugar to swallow the spanish torrefacto roasts. So, I started to attend barista courses in Dubai. The last one was held in Raw Coffee Company where coincidentally a job vacancy was open. I applied and didn’t stop learning until these days. Right now I’m working as the manager of a specialty coffee shop named Mokha1450 based in Dubai. The UAE Cup Tasters Championship in November 2016 was my first official World Coffee Events competition. The same year but several months before I helped to organize the first UAE AeroPress Championship in Dubai. I took part but didn’t make it to the finals. Depends on a lot of factors. I will always try to look for consistency (between cups and in relationship with the origin, processing method, etc.). If not, the answer would be always too easy, giving the Panamanian Geishas and Yirgacheffes a bigger advantage when it comes to preference. I heard Budapest has a Filipino coffee shop where Barako coffee is served (Liberica), called Barako Kávéház. I’m really keen to try a cup! My biggest dream is to be owner of at least 3 parking lots in downtown L.A. Just joking! I hope having my own roastery one day. The person that always helps me unconditionally is Carmen, my wife. She gave me amazing coffee books and the Scentone Coffee Flavor Map, a great tool that changed my life. When it arrived at the post office, the guy in customs didn’t know what it was and she had to open it so the officer could smell the tiny bottles. Karthik, one of my best friends and coffee professionals and 2 times in a row UAE Ibrik Champion. All my colleagues at Mokha1450 and my boss, Garfield Kerr. My journey in coffee links to all sectors in the coffee supply chain: barista, roastery, quality control, green sourcing to coffee farms. I started as a barista in 2014 and I have been learning and involving in the industry since. I currently work for Caravan Coffee Roasters as Quality Control Manager in London. I was hooked on coffee when I lived in Melbourne. The cafe and brunch culture fascinated me. When I went back to Taiwan, I tried to order flat white or piccolo from the baristas but there were no such drinks. I then realised I wanted to learn more about coffee in general, so I traveled to London to start my own coffee journey. I am excited about Hungarian wine. Dedicate in coffee sourcing and building communication between farmers, buyers and roasters. Being able to express myself without feeling like I had to change my hair, dress, or even the music I like. Coffee was very accepting of everything. Drinking tasty wines and riding a bike somewhere new on every street!